Well lookie lookie what I have here for you! 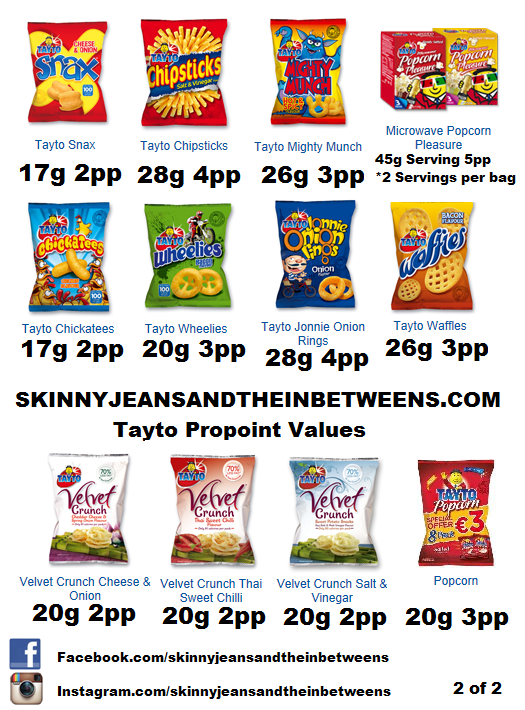 Only a complete list of propoints for the Nations Favourite Obsession- TAYTO!!! Oh Yeah! If you haven’t indulged in a Tayto Sandwich at least once in your life you haven’t lived. 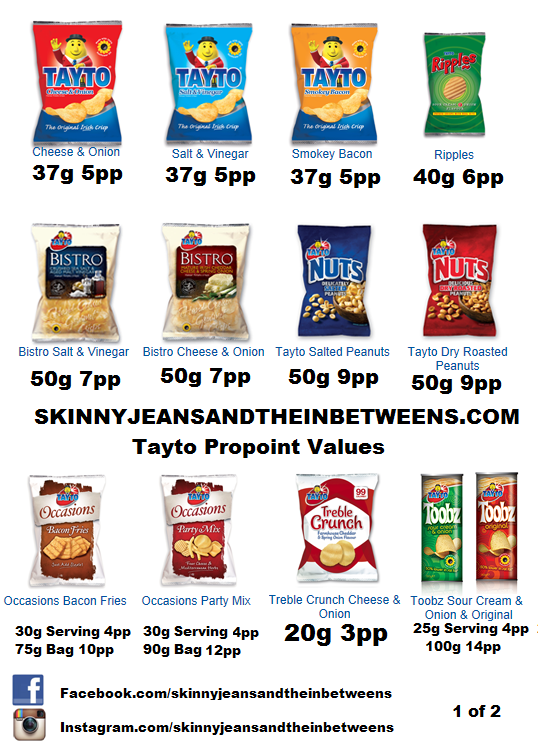 Some of Tayto’s snack options are extremely good value points wise my friends, you can have all of the pleasure & none of the guilt. Behold….